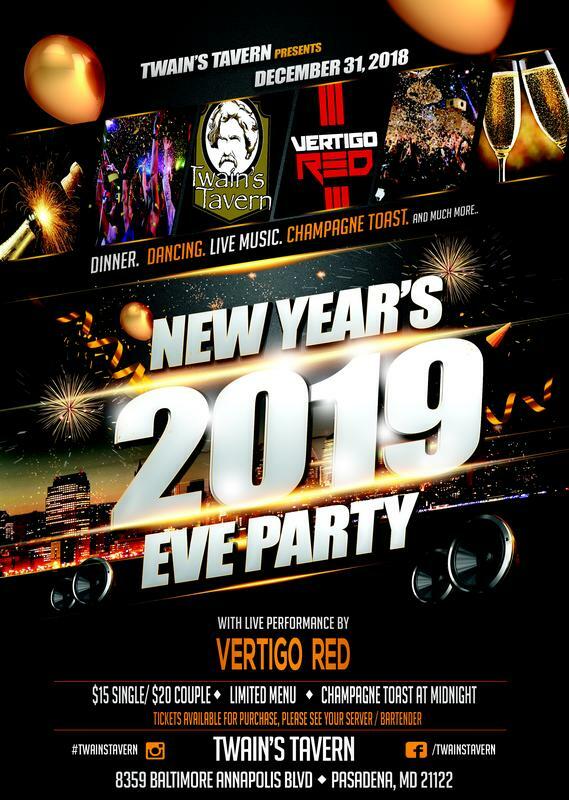 Twain's Tavern New Year's Eve Party with Vertigo Red $10 Bottles of Champagne Special Dinner Menu will be availableTickets:$15 each$20 coupleMust be 21+; All ticket sales final. By purchasing tickets online, your name will on guest-list at door. 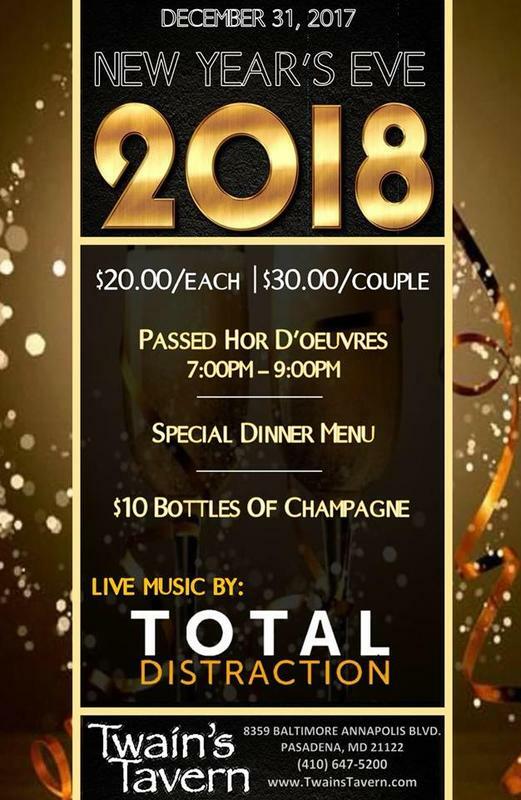 Twain's Tavern New Year's Eve Party with Total DIstraction Lite Fare Buffet 7p-9p $10 Bottles of Champagne Special Dinner Menu will be availableTickets:$20 each$30 coupleMust be 21+; All ticket sales final. By purchasing tickets online, your name will on guest-list at door. 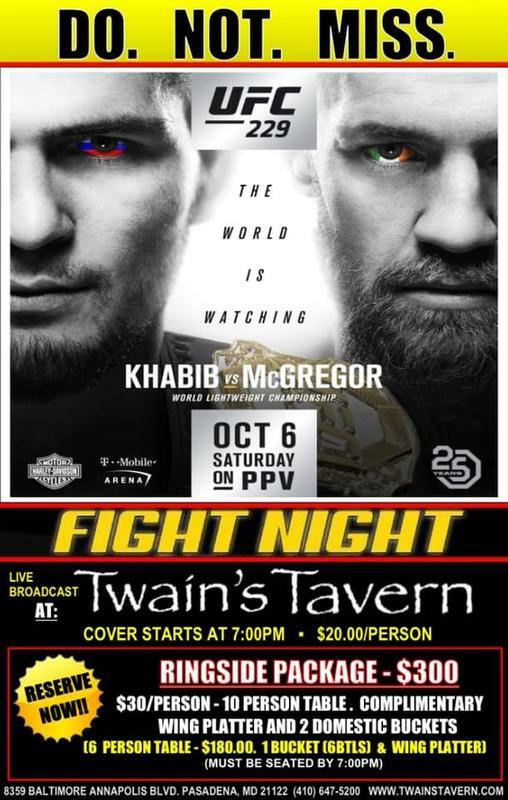 Twain's Tavern New Year's Eve Party with Marshall Law Lite Fare Buffet 7p-10p $10 Bottles of ChampageLive Music by Marshall LawTickets:$20 each$30 coupleMust be 21+; All ticket sales final. By purchasing tickets online, your name will on guest-list at door.